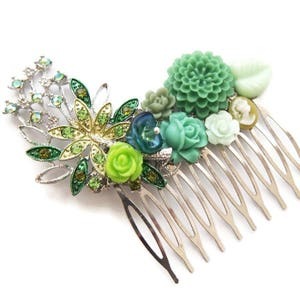 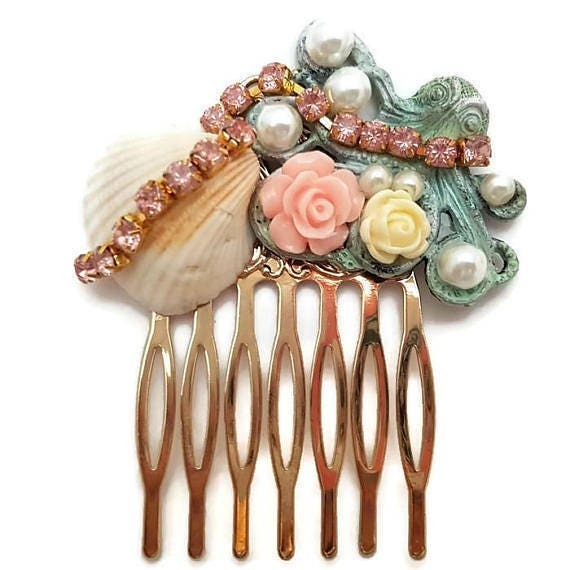 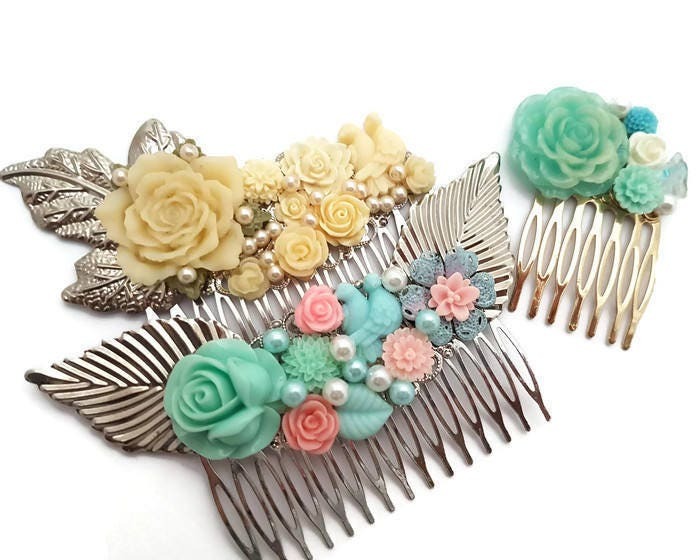 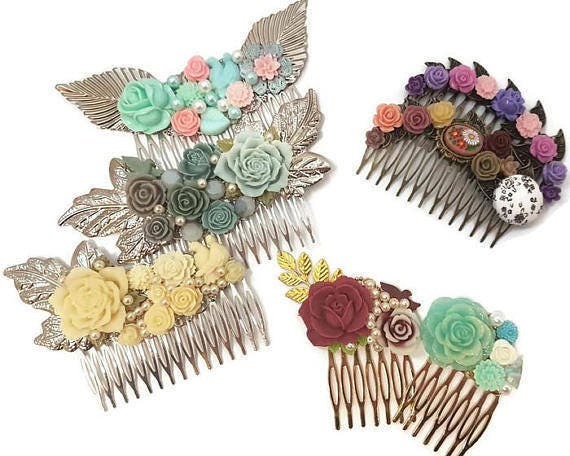 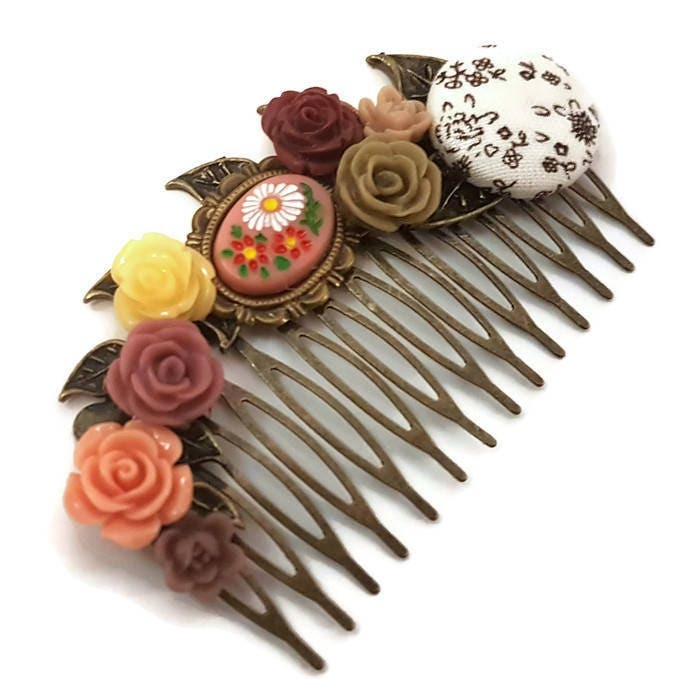 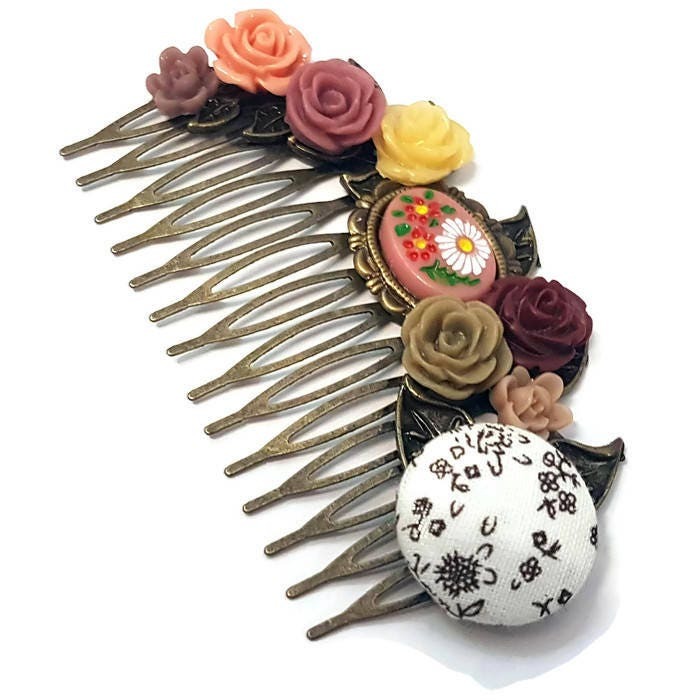 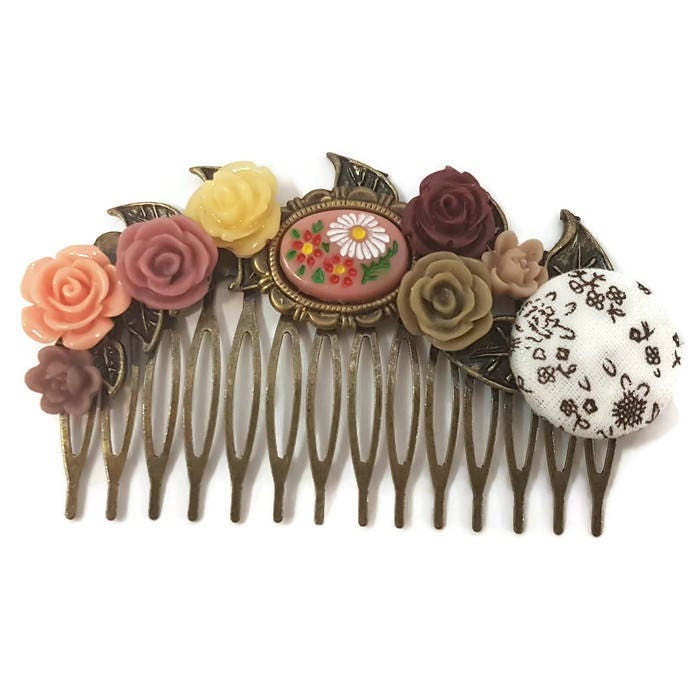 This comb is so beautiful. 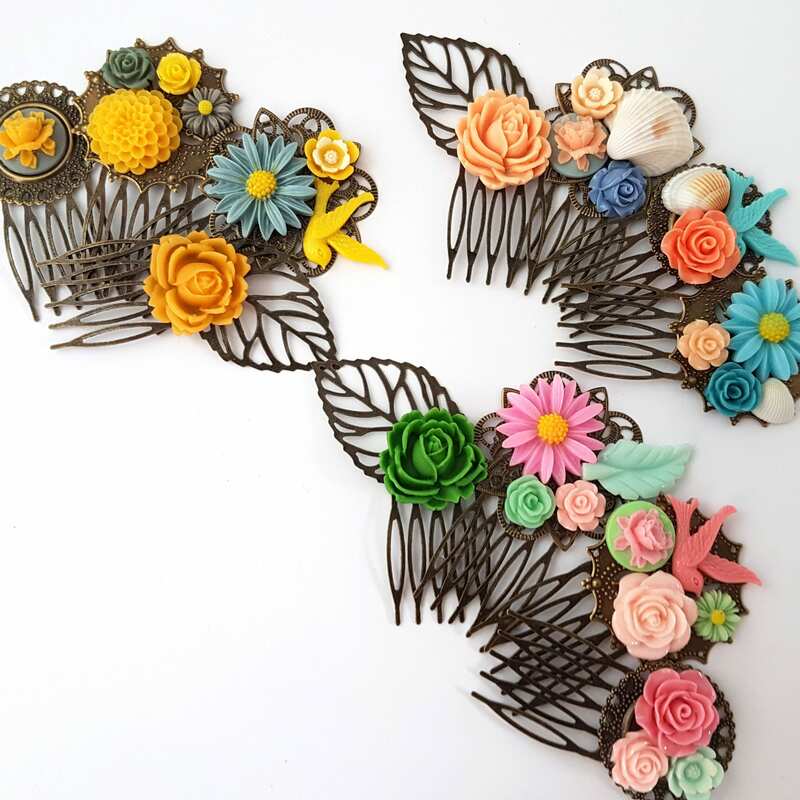 It features metal leaves and resin flowers. 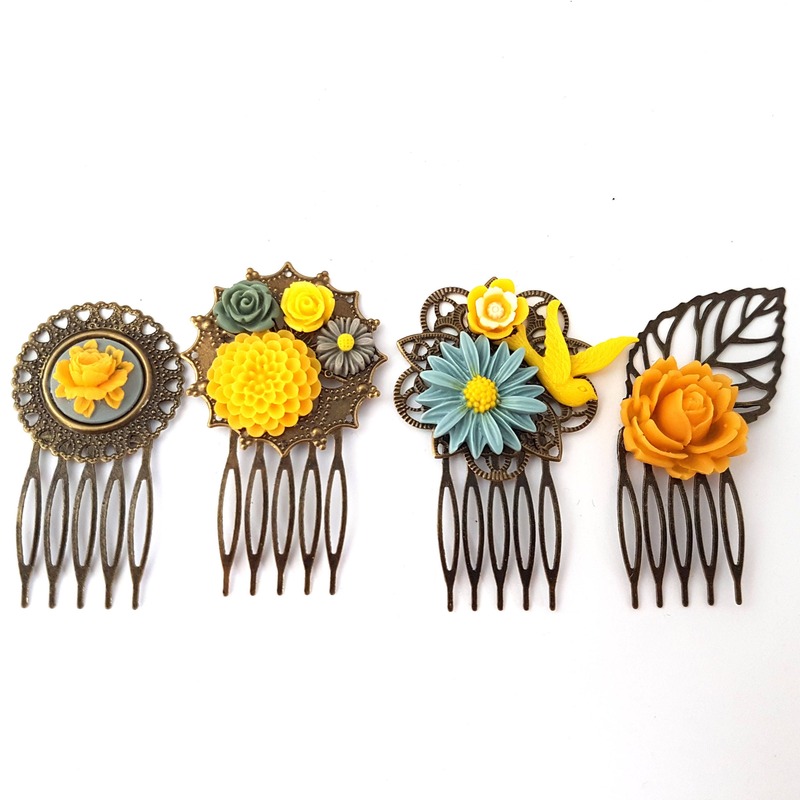 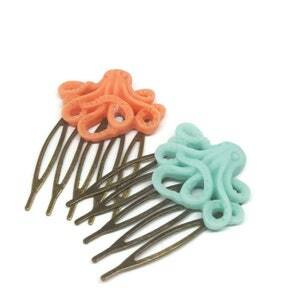 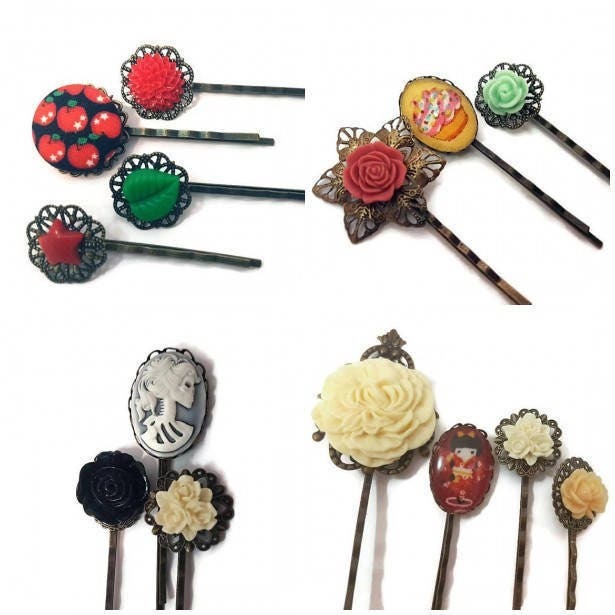 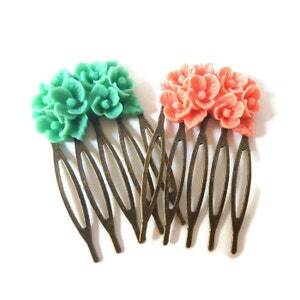 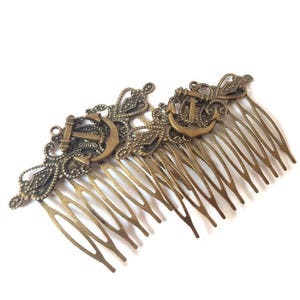 They are securely bonded to a bronze comb.